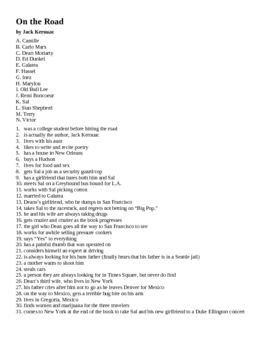 A 31-question matching test for Jack Kerouac's on the Road. Match names of characters to statements about those characters. With answers.